AEGEE-Toulouse is Back on the European Stage - with Two Events! GT: Only one year ago, AEGEE-Toulouse was not a very visible local and even downgraded to Contact Antenna. Now it is strong, motivated and very active. How did you manage this impressive turnaround? AEGEE-Toulouse: For a few years, AEGEE-Toulouse has focused more on local actions such as welcoming Erasmus students, throwing parties, activities and even a festival. Since the beginning of the year, new members showed also interest in the European events, so the all team helps to make Regional Training Course and the Summer University possible! GT: How many active members do you have now? AEGEE-Toulouse: We have around 15 active members. GT: You mentioned the Regional Training Course that you will organize in March. What motivated you to organise an RTC? AEGEE-Toulouse: The big majority of our members has never participated in a European AEGEE event, organized by any other antenna. We think this RTC is a good opportunity for our members to get to know more about AEGEE and to increase their interest in participating in future events! GT: It’s a Regional Training Course, so members of which locals can actually apply? AEGEE-Toulouse: We expect to welcome a lot of members from our network La Nave, which encompasses Spanish, Portuguese and some French antennae such as Toulouse, Lyon and Paris, but we would also be pleased to have with us AEGEEans from all over Europe! Marie Gombert is the main organiser of the RTC. GT: What is the programme of the RTC? AEGEE-Toulouse: The RTC that will take place in Toulouse on the 25th and 26th March. It will allow our participants to discover the beautiful city of Toulouse, try local specialties, and also participate in different sessions about: history, values and actions of AEGEE; management of an antenna and how to organize a Summer University; the advantages of international mobility for the labour market; and the Erasmus Student Festival organized every year by AEGEE-Toulouse – the third edition will take place this October. GT: How many people can attend the RTC? AEGEE-Toulouse: We have space for 30 participants plus AEGEE-Toulouse members. GT: Who will be the RTC trainers? AEGEE-Toulouse: We will have Laura Perez, Subcommie and member of AEGEE-León, Alberto Arv from AEGEE-Madrid and Karim Ashraf from AEGEE-Toulouse. We hope the diversity of trainers and participants will enrich the workshops and discussions a lot! GT: You will also organise a Summer University this year, called “Call upon young Europeans”. It will take place from the 20th till 31st of August. What’s the main topic? AEGEE-Toulouse: This Summer University will deal with the euro optimism and European citizenship. Do you feel European? Do you feel you can be active in Europe? This Summer University aims at answering these questions and at promoting European culture through the discovery of its citizenship. The idea of tackling these issues was born in response to Euro-skeptic feelings and the increase of protectionist policies on this continent. It wants to encourage confrontations, interactions, exchanges but also debates between the participants who represents a dynamic, conscious, responsible and innovative European youth. Laura Perez will be trainer at the RTC. GT: What are the main programme highlights? 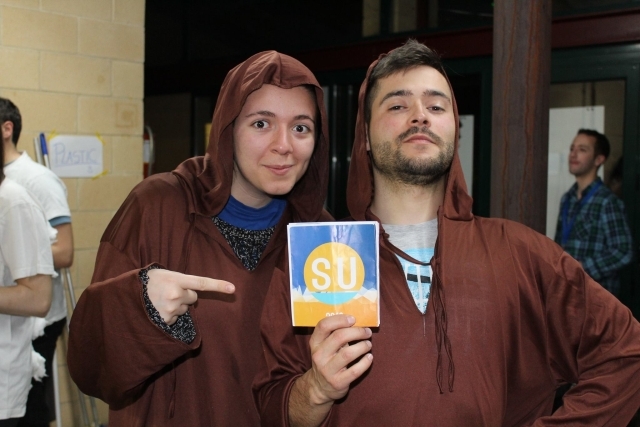 AEGEE-Toulouse: The particularity of our SU is that It will include an Erasmus + project, as a youth exchange. Erasmus+ is a EU programme to support education, training, youth and sport in Europe. So we need to offer a Summer University with a very rich and broad content. The first five days will be in Toulouse where our participants will follow a daily training organized by the “Your Vision for Europe” project and the contribution of external associations. And the six last days will take place in Barcelona. This period will be more practical and cultural. We will discover the city and continue our reflection around European identity and European citizens through the realization of a movie. This video will be the opportunity to promote Europe and AEGEE and motivate other young people to play an active role. GT: In what way will you cooperate with the “Your vision for Europe” project? AEGEE-Toulouse: They will ensure a large part of the content and the training in our SU. We are working with “Your Vision for Europe”, because it is an active and dynamic group. We were looking for a group of experienced trainers to collaborate with us and they were looking for an SU to work with in a closer way, so the match was perfect. We are all involved in this project now, we share the same vision, we don’t want to organize a touristy SU, but an SU as a training with content and where the participants will be the main actors. “Your vision for Europe” will organize workshops, activities, games and discussions around our main topic, because they have a lot of experience and we like the way they propose non-formal education methods to transmit knowledge and skills. AEGEE-Toulouse organised Summer Universities right from the very first year. Back then in 1988 they also visited the Airbus factory. GT: You will organise the Summer University with AEGEE-Lyon. Why? 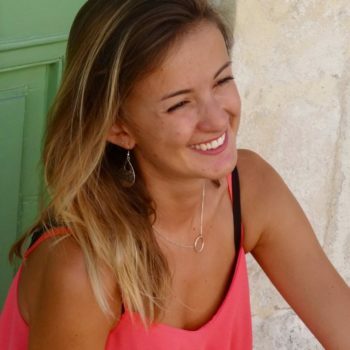 AEGEE-Toulouse: Our main organizer Johanna Molotoala is actually from AEGEE-Lyon, but she is now more involved in AEGEE-Toulouse. 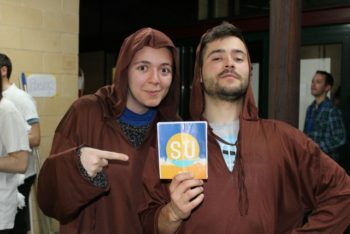 The idea of this SU came originally from AEGEE-Lyon, but it will be realized in Toulouse, because in our city she received the logistical support with more active, enthusiastic and motivated members to realize this project. We consider it as really important to help and support each other in the network. This cooperation between two French antennae will try to make AEGEE in France more active. Together we are stronger! AEGEE-Toulouse is getting more and more active, that’s why it was natural for us to support and work with another antenna to help it to organize an SU. We definitely support and encourage the partnerships and cooperation between antennae to create, think, act and dream bigger. GT. How can interested people find out more about the SU and RTC? Where can they apply for the RTC? AEGEE-Toulouse: People interested in our SU can contact us at suaegeelyon@gmail.com, but you can soon also see more information on the website of the Summer University. And this is the Facebook event of the RTC: www.facebook.com/events/1888786851364700/.